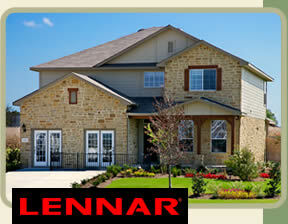 On Wednesday, Homebuilder Lennar Corp. reported minor loss for the first quarter of financial 2010. The company also asserted that it is back on track to accomplish its goal of prosperity in fiscal 2010. Established in 1954, Lennar operates as a home builder and provider of financial services in the U. S. The company's homebuilding processes comprise the construction and sale of single-family attached and detached homes, and multi-storied residential buildings, along with purchase, development, and sale of residential land. According to the Mortgage Bankers Association (MBA) study of gross mortgage application volume, potential mortgage borrowers presented 4.2% less applications in the week ending March 19, subsequent to previous week's 1.9% drop. MBA said that the number of applications submitted for home refinance slid 7.1% from the previous week, dropping the refinance share to 65% of all applications submitted from 67.3% the week earlier. MBA said that the share of applications submitted for adjustable-rate mortgages (ARMs) increased to 4.8% of all applications, from 4.6% a week earlier. India has, for once, decided to stay away from controversy. Recently Kaushik Basu, Chief Economic Adviser to the Finance Ministry, confirmed that India will most probably not join the rest of the world in putting pressure on China over the Yuan and its value. While the United States, along with the rest of the world, is mounting pressure on China to let the Yuan rise, India, it seems, does not want to be a part of it and believes that the country should be allowed to handle its currency the way it wants to. Major tensions have erupted between the US and China over the fixed peg of the Yuan, but it does not look like China is very much affected by it. Recently, Reliance Industries Limited unsuccessfully attempted to take over the petrochemicals major LyondellBasell, and although the market did not react too negatively to the fact that the bid failed, and some analysts even cheered the attempt, many questions have been raised over how RIL now looks to ensure that it is able to drive itself to the next phase of growth. Recently, Prime Minister Manmohan Singh had stressed that erasing of poverty from a nation which has almost 1.2 billion people will continue to remain a "pipedream" unless some definite measures are taken by the country to step up its growth rate. Estimates have revealed that India's economy is expected to grow at least 7.2% over the ongoing financial year up-to March 31, but the same seems to be a little difficult considering the factor that the rate of poverty is at an all-time high as well. The bill demanding a 33% reservation for women in the Parliament has been a hot topic of debate for quite sometime now, and while most were expecting the bill to get a clearance on International Women's Day, that did not happen, and now, the BJP is stressing that it would not vote on the legislation till an extensive debate has been undertaken. Recession Effects? Indian Salaries do not seem to be Affected! A recent survey has come as a surprise to the rest of the world and a reason to celebrate for the Indians. It has been suggested that wages paid in companies across India are all set to rise at the fastest pace across the entire Asia-Pacific region. Incomes are expected to go up by a tenth over the ongoing year. With the results of the survey, the speculation that local companies are more confident of growth as compared to their regional counterparts has been reinforced. Despite the fact that the Reserve Bank of India has agreed to not implement the proposed base rate mechanism for at least another three months, the country's banks still do not seem to be very happy or comfortable. Giving ear to the many requests sent in by banks, RBI today said that the implementation would not happen till June 1, but the bankers still feel that there is much confusion on calculation of cost of deposits, which is an important element for calculating the rate to begin with. Sachin Tendulkar Proves His Worth Again: Perfect Candidate for the Bharat Ratna? When it comes to cricket, Sachin Tendulkar is a name which has become iconic. In fact, the name is now synonymous with the very word. So it comes as no surprise that the Maharashtra Government is now pushing Sachin's name as a contender for the prestigious Bharat Ratna. The news has garnered different reactions, with some cheering it, and some others criticizing the same, especially since the call for the award has become much louder after the cricketer managed to achieve the rare feat of hitting a double century in the one-day game format. With the coming of 2010, Singapore's tourism seems to have been given a boost once again. During the year, the country is expecting to host 11.5 million to 12.5 million visitors and bag about S$17.5 Billion to S$18.5 Billion in tourism receipts. The figures have been shared by the Singapore Tourism Board and have been a result of the significant rise in tourist numbers recorded during the initial months of the year. All throughout February, the budget concerns managed to shake up the Indian stock market, and it was more-or-less much volatile. However, a bit of consolidation was seen by the time the end of February rolled in. While the Rail Budget did not have much of an impact, the Union Budget was responsible for many upheavals. On the day that the Budget was released, the Sensex added 175 points, which went down in history as the biggest single day gain for the month of February 2010. Except for the increase in fuel rates, it seems that the Budget was pretty decent overall. Racist Attacks on Indians in Australia - Are the Authorities Finally Coming Around? It certainly seems so, especially with the visiting Australian Foreign Minister Stephen Smith, for the first ever time acknowledging that the attacks made on Indian students in Australia were racist in nature. Up until now, the Government had been trying to pass these on as everyday theft crimes, and the very huge possibility that these were hate attacks was being hushed up. For the week up-to January 23, India's food inflation had managed to peak to 17.56%, a worrisome figure for many, but there were others who were expecting things to get better with the imminent Union Budget for the year 2010-11. And when it was finally released a few days back, it was clear that despite efforts, little, if any, has been done in the latest report to try and curb the inflation, which has still continued to grow. Swine Flu: Is the Flu Scare Over? There are many who are continually insisting that the Swine Flu is now behind us; we have managed to battle the condition, and come out of it victorious, and this has led to the authorities shutting down many help lines, clinics and websites which aimed to help people fight Swine Flu and gather correct knowledge about it. But the latest figures shared by the World Health Organization have come as a sharp contrast. Very recently, the agency revealed that as of mid-February, as many as 16,000 deaths have been reported from around the world because of H1N1. Looks like the 3G service is finally here. Bharat Sanchar Nigam Limited (BSNL) had launched its 3G services in Tamil Nadu on Saturday, Jan 23. It had declared that it would slowly extend its services to 38 cities across the state in the next three months. 3G enables people to use speech and advanced data services simultaneously. The service is also backed with the technology to offer higher quality in voice call as well as a wide range of data services.